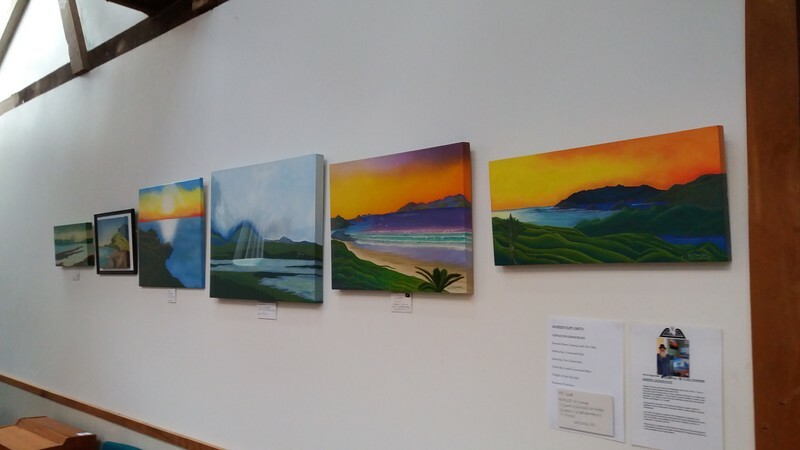 Come and check out these beautiful paintings by Warren Kupe Smith of local Coromandel scenic beauty. Acrylic on canvas works, these finely painted works would grace any home or bach. There are also several pen and ink pointillist drawings of native NZ fauna, exquisitely done. Hundreds of hours of work has gone into these artworks, yet the works are very reasonably priced. Exhibition has been extended by 2 weeks into October. Get on down to 'the back Room' behind Lotus Realm Music Shop and see these beauties, you may need to take one home with you!